Looking inside the Earth requires a signal that can penetrate rocks, minerals and other opaque material. Seismic waves represent such a signal. 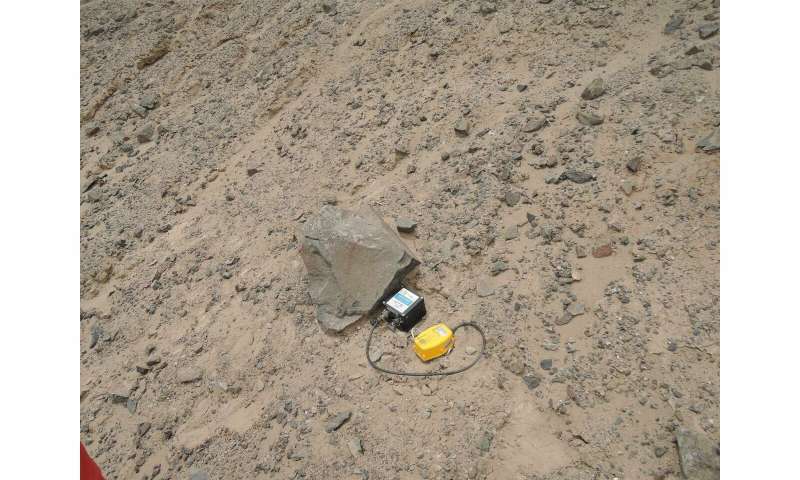 By recording them with a seismometer, researchers can draw conclusions from the recorded data about the state of the subsurface through which the waves have passed. Knowledge of subsurface stress or strain fluctuations is just as important for safety in construction and mining, for example, as it is for monitoring geological processes in volcanoes and fault zones. Now, Christoph Sens-Schönfelder from the GFZ German Research Centre for Geosciences in Potsdam and Tom Eulenfeld from the University of Jena have been able to show that the seismic waves excited by the surf, together with the effect of the Earth's tides on the subsoil, can be used to better understand the properties of the Earth. 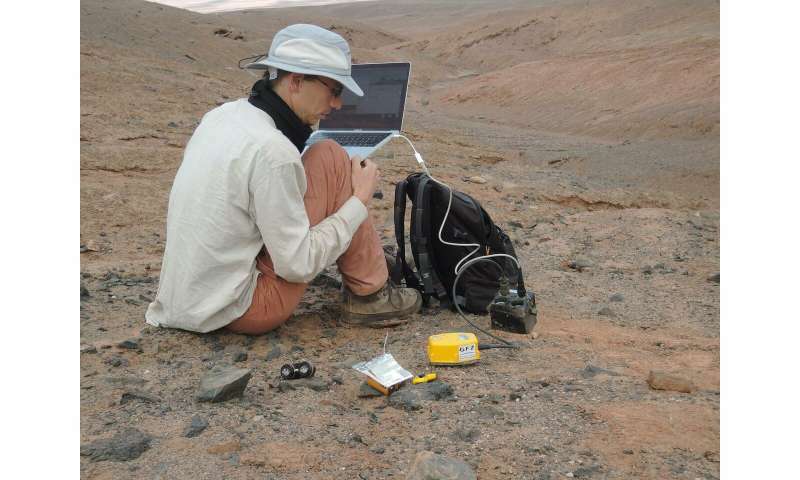 Christoph Sens-Schönfelder and Tom Eulenfeld have now succeeded for the first time in using a single seismometer to measure how sensitively seismic waves react to the deformation of the Earth's material through which they propagate. 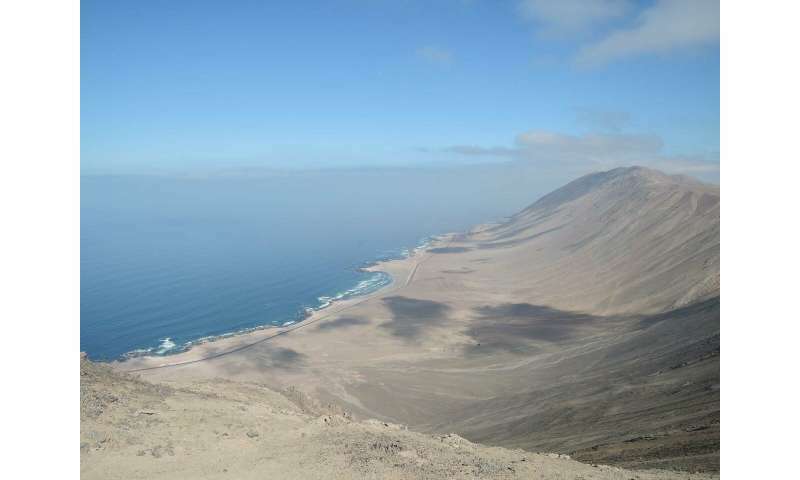 In order to achieve that, the researchers evaluated the velocity of the seismic noise generated by the surf. They report on this in the journal Physical Review Letters. "We use two different signals that the environment provides us with naturally," explains Christoph Sens-Schönfelder. "Due to the tidal effect of the moon and the sun, the universe conducts a permanent deformation experiment with the Earth. They pull with great regularity on our planet. To observe this pulling, we use the seismic noise in the underground that is generated by the surf." The relation investigated by Christoph Sens-Schönfelder and Tom Eulenfeld allows in principle a measurement of the deformations inside the Earth by means of recordings of seismographs on the Earth's surface without having to drill into the ground.